Xiant Mobile is not an ordinary email client. We developed entirely new features that make dealing with your email interesting again, and more rewarding. Xiant Mobile, the smartest email client for the Kindle Fire, today launched into general availability in the Amazon Kindle Fire App Store. Xiant Mobile makes it easy to stay connected to the people who matter most by merging your mailboxes and providing superior email search and contact management. Xiant Mobile is available for the Kindle Fire now and retails for $9.99. Xiant Mobile also offers the fastest, most complete e-mail search solution available for the Kindle Fire today. With Xiant Mobile's built-in search, the entire contents of all of your inboxes are now searchable and putting the information you need at your fingertips. Xiant Mobile supports most of today's most popular email protocols, including Microsoft Exchange (with ActiveSync), Gmail, Gmail Apps for My Domain, Gmail for Business, and IMAP. The application also allows you to set up multiple email accounts, unlike the default Kindle Fire email client, and sync your mailboxes to easy search and manage the entire contents of all of your inboxes in one place. Within each email Xiant Mobile highlights the names of your contacts and helps you quickly learn about more them with a single touch without leaving the application, letting you be more productive with your time. Future releases of Xiant Mobile will highlight different types of concepts in email messages, such as public figures, important places, addresses, sports teams, tracking numbers, and much much more. Another version of Xiant Mobile for all other Android devices, including Android phones and tablets, will be released in May 2012. It will cost the same as Xiant Mobile for Kindle Fire, just $9.99. Xiant Mobile leverages original technology developed at Kiha Software, Inc., an R&D unit focused on new mobile experiences. The Kiha team has since spun out into a new company and is working on a stealth project to be announced this Spring. The technologies, products and patents developed by Kiha are currently being leveraged across Paul D. Allen’s investment portfolio. Learn more about Xiant Mobile at http://www.xiantmobile.com/ and follow Xiant Mobile on Twitter at @xiantmobile. Support for Exchange, Gmail, IMAP. Xiant supports most popular email protocols, including Microsoft Exchange (with ActiveSync), Gmail, Gmail Apps for My Domain, Gmail for Businesses, POP3, and IMAP. Easy set-up. Xiant makes it easy to set up your accounts. Got a Gmail or a Gmail Apps for My Domain account? Just punch in your name and password, authorize with Google (via OAUTH), and you're good to go. Search all your mail. Xiant offers the fastest, most complete e-mail search solution available for Android today. With Xiant Mobile's built-in search, the entire contents of all of your inboxes are now searchable -- right from your Kindle Fire. Better contact handling. 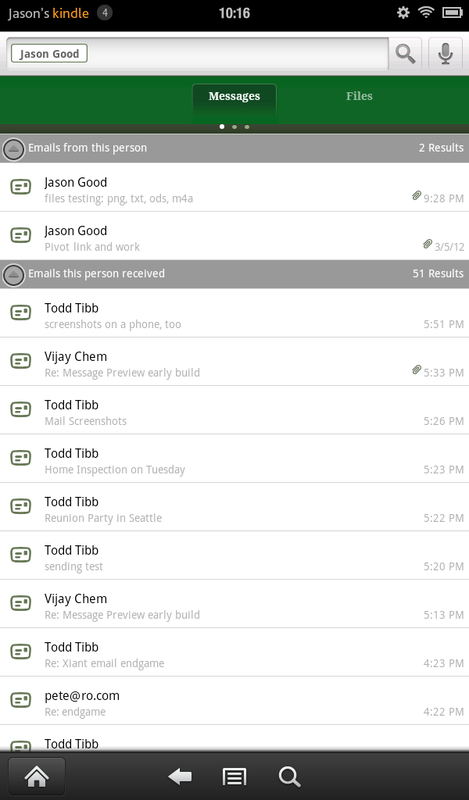 Xiant integrates contact information from Gmail and Microsoft Exchange accounts to your Kindle Fire's Contacts app. 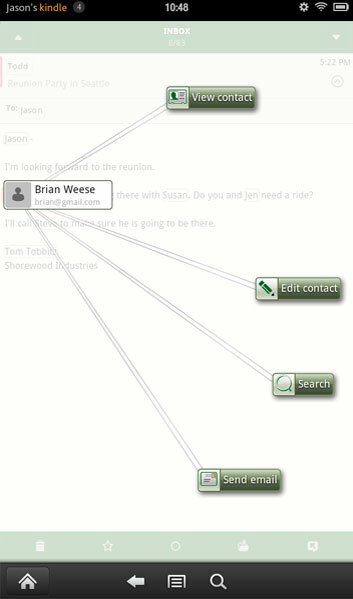 Touch any highlighted name to learn more about your contacts -- or to add them to your Kindle Fire Contacts app. Smarter Messages. 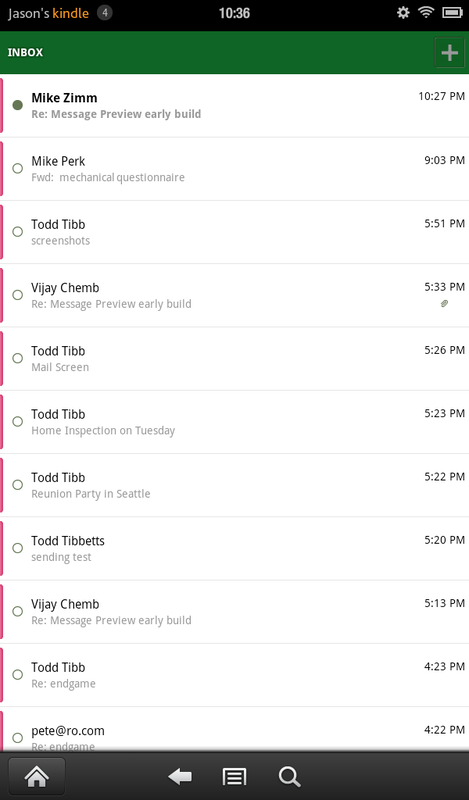 Xiant helps you be more productive by highlighting the names of important contacts found in each message in your inbox. Xiant (pronounced ZEYE-ant) is a small, Seattle-based technology organization dedicated to making your time at the computer as productive as possible. Xiant was founded in 2009 by technology innovator Paul G. Allen to help users manage their overflowing email inboxes. Xiant is a wholly-owned subsidiary of Vulcan, Inc.
Xiant Filer, Xiant’s first product, is a powerful extension to Microsoft Outlook that makes it easy for Microsoft Outlook users to file messages into folders. Xiant Mobile, Xiant’s latest product, is the smartest email client for the Kindle Fire, and soon, for all Android devices.